feeling stitchy: Call for bloggers! Hello all! 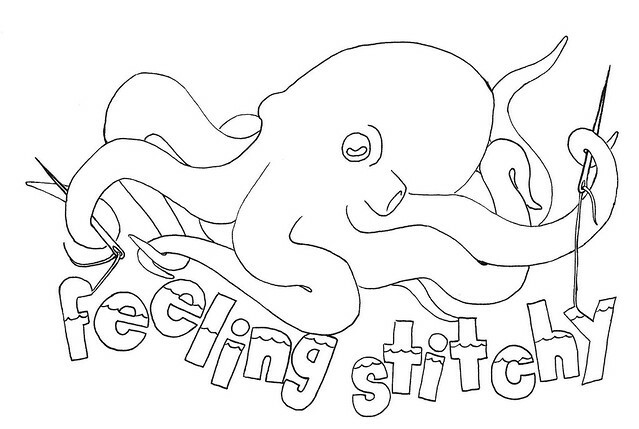 We’re looking for bloggers to create weekly posts on Feeling Stitchy for the upcoming year - March 1, 2012 - Feb. 28, 2013. In your email, please tell us the topic or theme you’d like to post on. Feel free to dream big with your idea - use our February posts as a springboard, or find something uniquely your own - and tell us how your posts can spotlight our crafty community. Please include links to your own blogs, etsy sites, Flickr stream, etc. so we can get to know you better! Feeling Stitchy is a hobbyist blog - our mission is to support and feature the crafty community - which we define as anyone who picks up a needle, for the first time or for the hundredth time! All our posts are contributed by volunteers. Although you'll be blogging for free, in my experience, wonderful opportunities can find you when you volunteer in the crafty community! Our contributors come from every walk of life - some are experienced crafters, people who just “like to make stuff” (I fall into this category), respected small business people, artists, etsy sellers, etc. Quite simply, we do what we do here because we love it. We feature books and items we like, but we don’t currently do advertising or sponsorships. At this point we only have one form of advertising - when we mention a book, it links back to Amazon.com, and any purchase kicks some change into our account. The money we receive from Amazon Associates goes back into the running of FS - paying for our domain, and funding giveaways and contests. Any additional costs are funded by me, floresita, Feeling Stitchy's editor and founder. We receive some free books from publishers, but many giveaways have been funded by me and by our volunteer bloggers (when they'd like to - it's by no means required). Oh I would love to blog for you, if only I had the time :-( Good luck everyone! Me too - email sent!